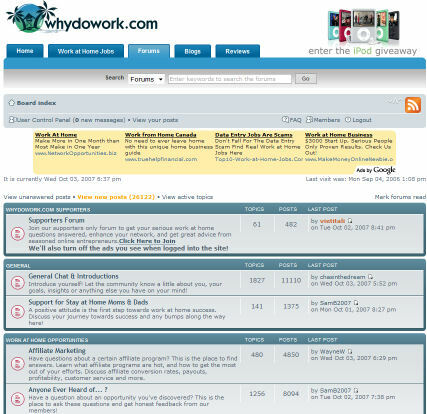 When I was first starting out in the internet marketing field I would quite frequently visit WhyDoWork, in particular their forums. What I like about the site (besides the plethora of information) is that it’s a real beginners guide to working from home. You don’t have to be a genius to understand the material. When someone asks me how they can make money online, I usually give them two websites. The first one being my own (obviously), and the second site being WhyDoWork.com. I just noticed as I was writing this post (and this a real fluke, trust me) that user ‘whydowork’ happened to visit my blog according to the MyBlogLog widget. That’s funny – maybe I should go buy a lottery ticket now. I’m not superstitious though, just a little stitious. 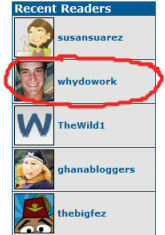 This post was not a paid review, nor do I have any affiliation with WhyDoWork or its site operators. This was a personal review based on my experience. It is a well known fact that fez wearing monkeys are good luck. Go buy that ticket. It makes us proud when someone is able to use the knowledge they gained and make it on their own. Almost like our little birds ready to leave the nest and take flight 😆 ok not that cheesy, but still great! I agree, I love whydowork as well. I visit their forums at least once per day, usually more, and have been since 2004.